-The corbels are from Home Goods. I loved the raw wood feel. 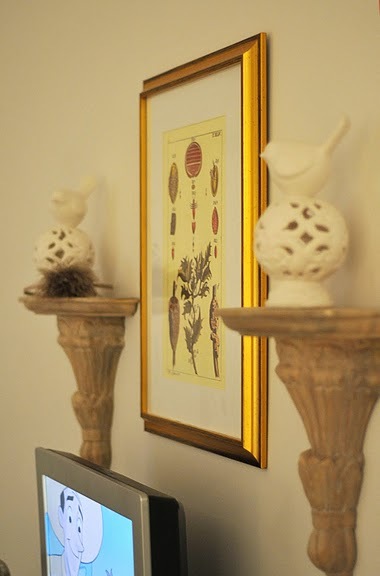 -The botanical prints were found at a local shop Leaf & Petal. 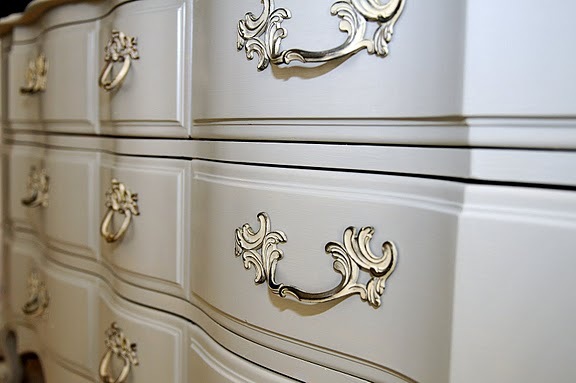 -The dresser and side dresser were painted my own gray color that Benjamin Moore helped me with. 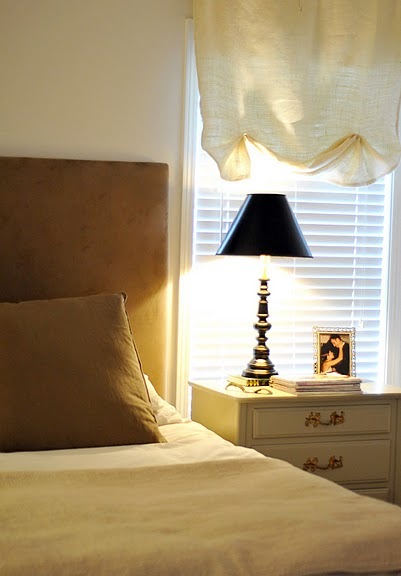 -Faux roman shade I made with simple burlap and lining. -The lamps I bought at an estate sale and painted black. The lampshades are from Target and have a fabulous gold lining. -I made the headboard. Directions on how found here. 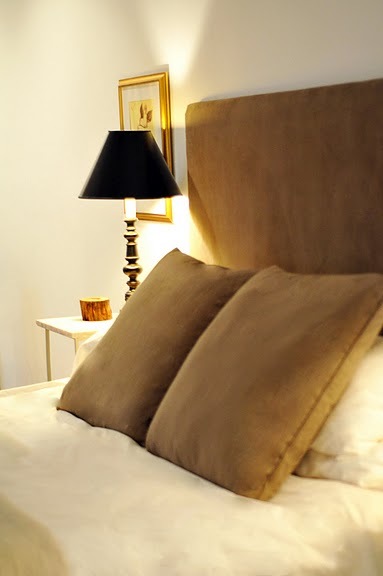 -The pillow shams were also bought at a local shop, Three Sheets. 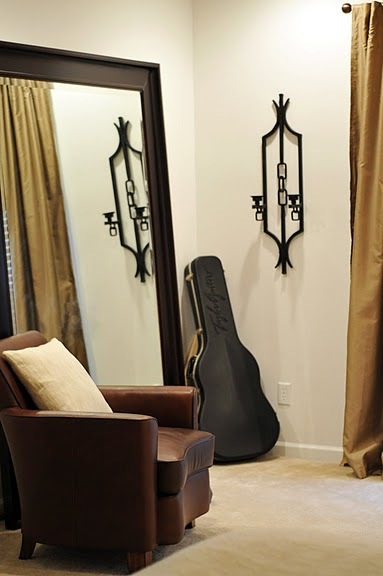 I loved the gray/brown color and they are what the whole room is based around. -Leather chair was a Home Goods find and it's brother lives in the family room. -the sconces that still need candles are from Tracery Interiors shop in Rosemary Beach. 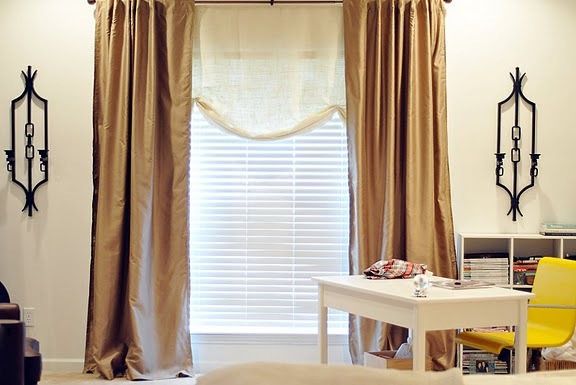 -The curtains were found at Hobby Lobby of all places and I added black out lining. -The table was painted white and is used for sewing so that is why it's basically empty. 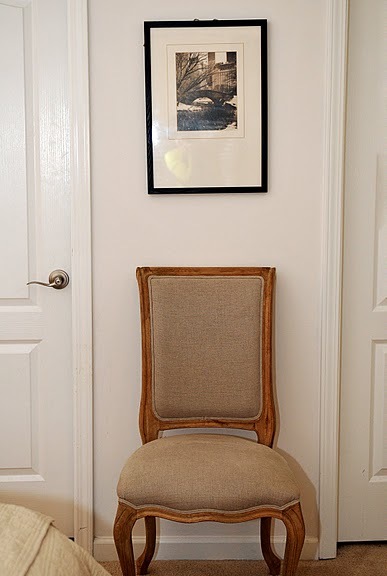 -The desk chair is from CB2 and is perfect for sewing. -The final chair was from Home Goods ages ago and has lived in almost every room in our house. My husband thinks it's a great place to throw his clothes. So now you have it. Sorry for the not so great pictures, but I promised to share so I am. As you all should know the room is not 100%, but it's getting there. I am on the search for the perfect fabric to recover a bench that sits at the end of the bed if you all have any ideas I would love to hear them.